So you've been working on your story, and everything is going great. Your writing sounds good, the story is coming together, and your characters are all working well for you. ...Well, most of them are. 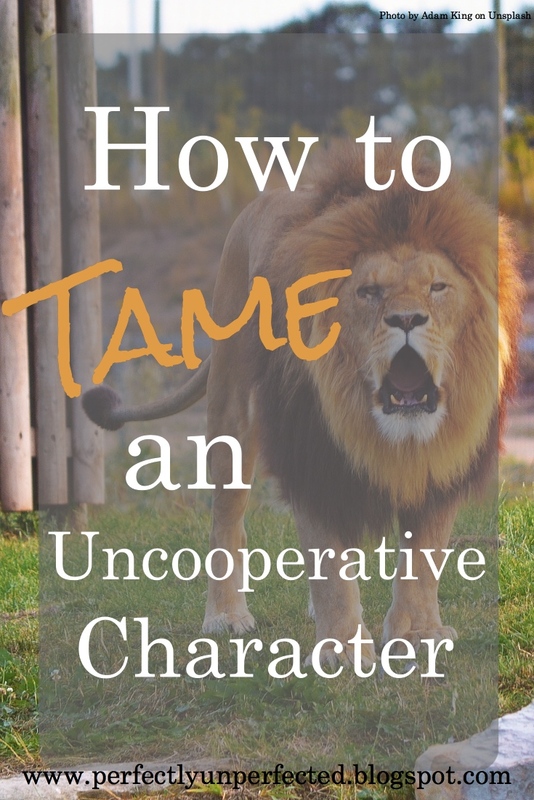 Stumbling across a character who won't cooperate is unfortunately common in the writing world, and may seem difficult to deal with. Whether it's because the character is underdeveloped or just plain stubborn, uncooperative characters are a pain and can really mess up your plans for your story. So what do you do when your villain doesn't want to act tough or evil? How do you make your babies the people you've always envisioned them to be? 1. Put them through a character questionnaire. Yes, yes--I know this is a very cliche and typical technique. But this is still a very good way to help make your characters cooperate! A lot of the time when you can't seem to write your character how you want, it's because that character is underdeveloped. Putting them through a questionnaire is a great way to develop them more. Odds are you'll end up discovering something about that character that you didn't know before, which will then help you write that character correctly. 2. Toss them in another world. This is one of my favorite techniques. If your character won't work for you in his or her original setting, then throw them in some new surroundings; a fanfiction, if you will. This technique not only allows you to break the character out of his or her normal setting and see them in a different world, but also allows you as the writer to put them through any situation you think of, and see how they react. Testing reactions and experimenting with your character will allow you to expand their personality more, as well as let a bunch of ideas flow through your mind. A lot of times when I do this with my characters who won't cooperate, I learn valuable pieces of information about them and can then write them without trouble. 3. Let things play out. Say one of your supporting characters is supposed to be sullen and quiet, but instead has decided he is truly funny and outgoing. You put that character through a character questionnaire, but it doesn't help. So then you test his or her reactions in a different world, but that doesn't help either! In this case, it may be best for you to just go with it. Does your character have to be sullen and quiet? Is it really that bad that he's funny and outgoing? Sometimes it's just best to roll with it when a character switches up personalities on you, and sometimes it may have more benefits down the road than you could have ever known. 4. Delete the character. Did you just cringe? I just cringed. I hate the thought of deleting characters, but sometimes, it's necessary. This, of course, doesn't really apply to you if your problem character is your protagonist or antagonist. But if your problem lies within a supporting character, it may be a good idea to reevaluate the necessity and value of said character. You may in fact be struggling to write this character simply because he or she just doesn't belong in the story! And if that's the case, deleting him or her is your best bet. 5. Rewrite the character. If you've been seriously struggling with a character for most of your book but you just can't go through with deleting him or her, then it's time to do some serious brainstorming and rewriting. Sometimes you envision a character and know every single detail about them, and it turns out you could not be more wrong. I once a assumed a character in one of my stories was nothing more than a happy-go-lucky and funny supporting character, and then boom--turns out he's in fact a traitor and has some serious issues deep down inside. When I realized this, I had some rewriting to do, and I'm seriously glad I did it! 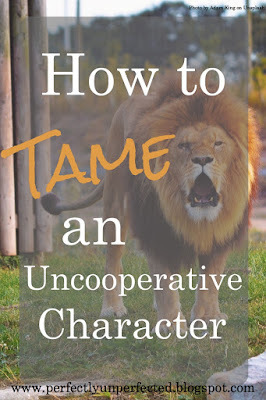 Despite how intimidating it may seem, taming your uncooperative characters is really not that hard. It just takes a little extra work, some creativity, and a lot of patience. But in the end, you'll be able to get back to your story and hopefully write your characters without a problem. This is an excellent post, and well-timed. Currently, I'm having the worst kind of trouble with my protagonist, no less. He's the unruly sort. He won't accept any name that I assign to him, and I can't figure out his motivation for various things. You've given some wonderful ideas for how to deal with these unruly characters, and I'm definitely going to implement several of them. I love character questionnaires, but I haven't put that particular character through one yet. I'll also just let things play out. Scary thought, though. Thanks Abby! I'm glad you got something out of the post. And yeah, letting things play out can definitely be scary, but sometimes things turn out better than expected! Recently, I came up with an idea that changed everything about my characters. It's a surprisingly good exercise even with cooperative characters and it's extremely fun. Write a short story in first person about what would happen if your character came to your door and had a conversation with you. Write about how they act, who they come with, etc.